The Kirklees Democracy Commission’s draft report was debated by all Kirklees councillors at a special Full Council meeting on Wednesday 10th May 2017. Members of Kirklees Youth Council also took part in the debate. 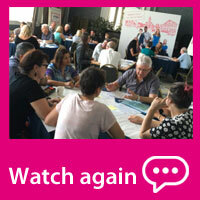 Watch our 4 minute video “Our local democracy” to hear what local citizens think. We shared this video with councillors at the start of the debate. Our Commissioners, all Kirklees councillors and members of Kirklees Youth Council took part in a debate about the future of our local democracy on Wednesday 10th May 2017 at Huddersfield Town Hall.